Gallatin Soccer Club in associating with the TN State Soccer Association is hosting a FREE 3 hour Creative Coaching diploma course in Gallatin, TN for all coaches at all levels. Wednesday, August 29th from 6p.m. to 9p.m. To register for this course, use the below link. 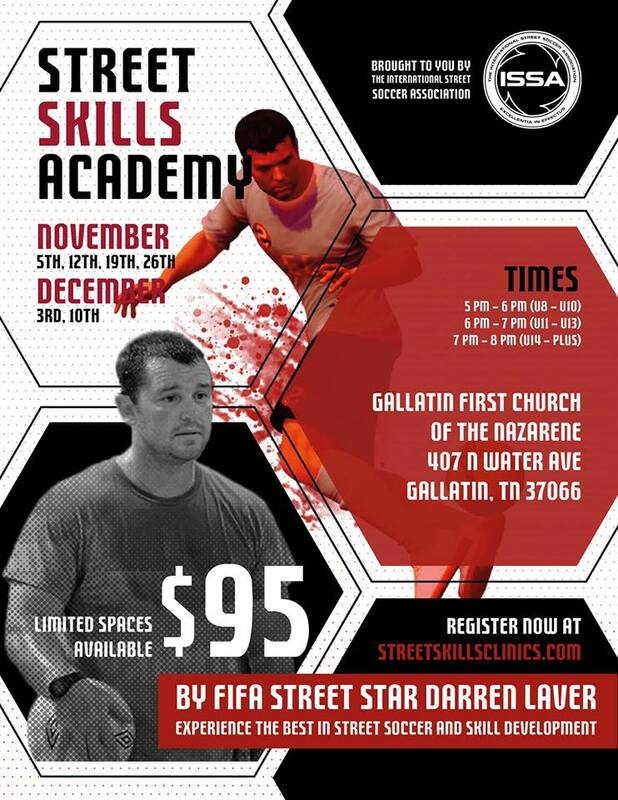 Make sure to choose the Gallatin Soccer Club course as there are several listed. 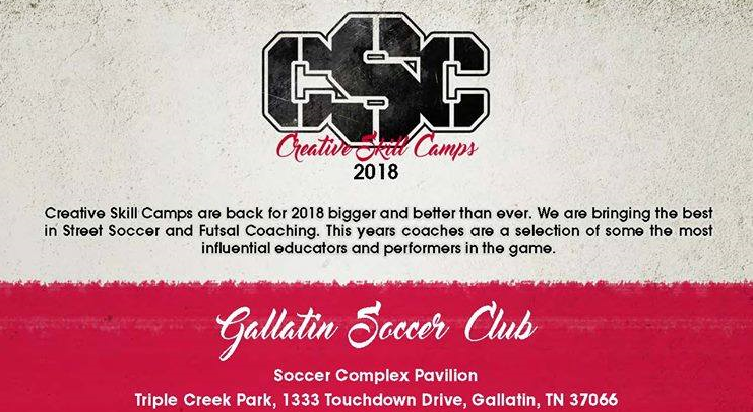 We are excited to announce that Gallatin Soccer Club has partnered with Creative Skill Camps to bring this fun and innovative soccer camp to our home fields at Triple Creek for one week only this summer! If you are registering multiple kids, be sure to use the promo code “SIBLING10” when you check out for a 10% discount! From the CSC Website: We bring you the very best skills training camp in the world. The camp is all about coaching players to become more creative and dynamic and to become better decision makers and problem solvers. With a combination of 3v3 inflatable fields, music and some of the best trainers in the world, there is no doubt this camp will be an experience players will never forget. Creative Skill Camps pride themselves on the quality of coaches that run the camp. Our coaches are the best in their field, ranging from Futsal, to real life characters from the EA Sports FIFA Street video game. The GSC Rangers and Lady Rangers competitive teams traveled to Chattanooga to take part in the 2018 Scenic City Cup. 200+ teams took part in this tournament. All of our Rangers teams performed great and our GSC Rangers 06 and our Lady Rangers 02 teams both came home CHAMPIONS in their respective divisions! Several of our GSC Rangers and Lady Rangers teams traveled to Smyrna Tennessee to take part in the Stones River Spring Shootout. We are proud of all of our teams that participated and want to congratulate our Lady Rangers 02 and Lady Rangers 05 teams for coming home Tournament Champions!! Great Job ladies! The GSC Spring 2018 Coaches Meeting is set for Saturday, March 17th. Most age groups will have a coaching clinic right before OR right after their meeting. Please be prepared to attend the meeting and the clinic. The times for each division and when their meeting and clinic is are below. The TN State Soccer Association is running a FREE 3 hour Creative Coaching diploma course in Gallatin, TN for all coaches at all levels. Monday February 26th from 5p.m. to 8p.m. To register for this course, use the below link. If this date doesn’t work, there are other Creative Coaching Academy courses in the Middle TN area available for registration! 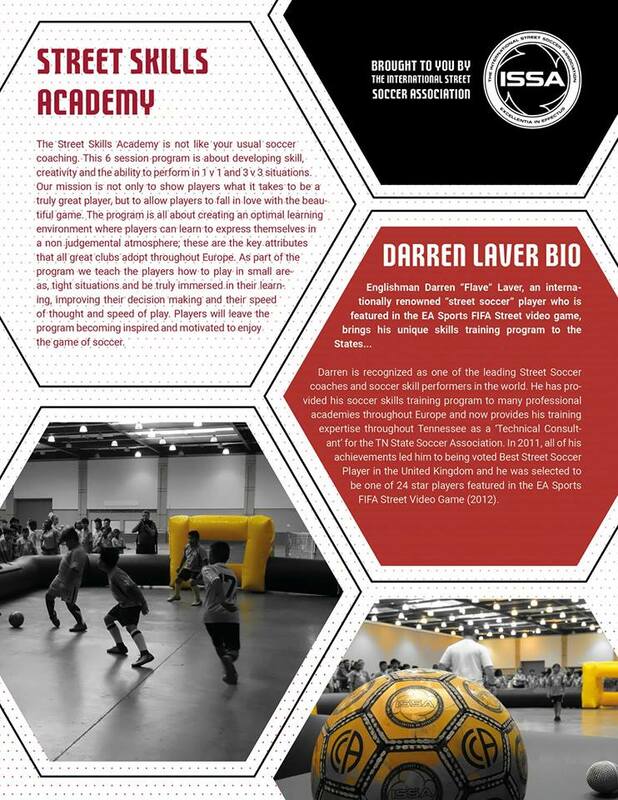 Each candidate will receive a 25 small sided games book written by instructor Darren Laver. Our GSC Rangers 07 boys were Champions at the Music City Invitational! Congratulations Boys!